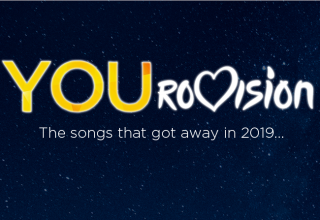 Home 2019 Eight of the entries for Destination Eurovision 2019 have officially been released! Destination Eurovision is back! The French selection was a huge success in its first year for Lisbon, and the format will once again select France’s performer for the Eurovision final in Tel Aviv in May. This year, the French delegation is not sticking to the tactic of releasing short teasers for each entry, or so it would appear. Shortly after France2 announced the 18 acts competing in the French national selection, fans quickly discovered that some songs had already been posted to YouTube. In fact, one song has been up since October 4th, and no one even noticed. Below are the songs that we have available to us. Mazy (or Julie Mazi) is a new upcoming artist in France, but possesses a long background in music. Back in 2007 she left her studies to audition for La Nouvelle Star, the French version of the Idol series, where she reached the quarter-final. Nearly 11 years later, she released a single “Toi et mou” which has amassed 19.6 thousand views to date. Her song “Oulala” is an independent project written by Mazy herself, and features a rhythmic pop beat mixed with catchy melody throughout. Will it be able to stand out among the other entries? Naestro (Nabil Rachdi) had no desire to be a singer, choosing to pursue a career in professional boxing. After numerous karaoke events, his wife encouraged him to audition for professional singing competitions, where he found some success. He launched his music career in September, when he released his single “Seul” on YouTube, which currently has 245,000 views on the platform. 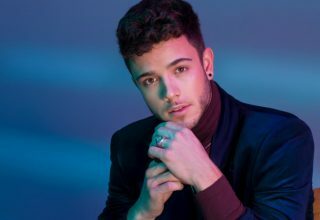 His Destination Eurovision song “Le brasier” is filled with emotion and a powerful vocal, which could work well for him in the competition. Interestingly enough, Eurovision alum and previous Destination Eurovision judge Alma appears to be one of the songwriters for his entry. PhilipElise (or Elise Philip) began her musical career under the name Eli’z when she launched her EP Sur Terre under a crowdfunding project. She also submitted an original song to a contest hosted by the legend Celine Dion, and was among 25 shortlisted songs to be considered for her album Encore un soir. Her song for Destination Eurovision features her vocal prowess and has a sort of indie pop sound about it. Gabrielle (Gabriella Laberge) is a Canadian born singer from Québec, and is talented in playing piano, violin, and guitar in addition to singing. She came into the public spotlight when she auditioned for the fifth season of The Voice: La Plus Belle Voix, joining Mika’s team and made it to the quarter-finals of the show. 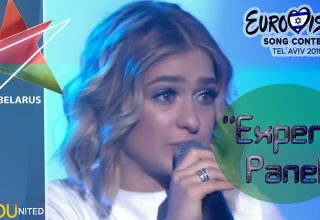 The folk pop singer presents a very different style compared to the other French artists, and her song is one of two bilingual songs for Destination Eurovision that we know of. 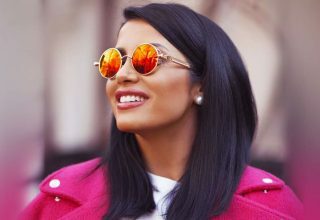 Florina (Florina Perez) is an singer who got her start posting covers on Facebook and Youtube before releasing her own music. In 2015 she released her first single “Llamame Florina” and in June the hit single “Va Va Vis” was released and has reached 1.27 million views on YouTube. Her entry for Destination Eurovision has a lot of ties to France’s Eurovision history, given that one of the song’s composers Silvio Lisonne was the executive producer for Amir’s entry “J’ai Cherché” in 2016. Her pop ballad is elegant and enjoyable, and serves as the second bilingual entry with French verses and an English chorus. Ugo (Ugo Benterfa) is a singer, songwriter and instrumentalist who began his music career at the age of four years old. He started to gain attention from his videos on YouTube, where he would post his own original songs. Last year he released his first commercial single “Dis-Moi” and gained further notoriety by opening concerts for Christophe Maé and Amir. 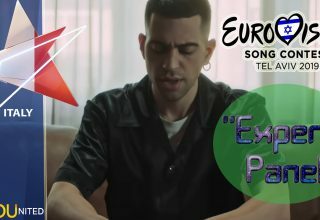 Ugo composed his Destination Eurovision entry himself, a pop song that focuses on the emotional struggles of a break-up. Chimène Badi is another big name from the French music circle to compete in Destination Eurovision. She got her start in music after her audition on Popstars back in 2002, where she was eliminated before the bands round. 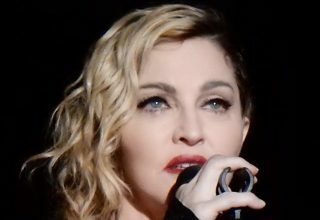 However, that did not stop her from pursuing music, as she released her first single “Entre Nous” a year later and topped the French charts at #1. She also starred on the third season of Dancing with the Stars, and for 35 shows performed the role of Grizabella in the musical Cats at the Théâtre Modagor. “Là-haut” is a deep but positive song, filled with a moving melody and interesting beat to keep your attention. There are still 10 other songs that have not been released yet. 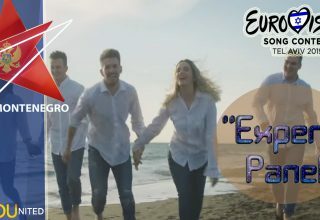 It is unclear if they will be publicly released before the Destination Eurovision shows begin next month, or if we have to wait until the semi-finals to hear them. What do #YOU think of the released entries for Destination Eurovision? Could we have a potential winner in the bunch? Let us know by commenting on our forum or connecting via social media!